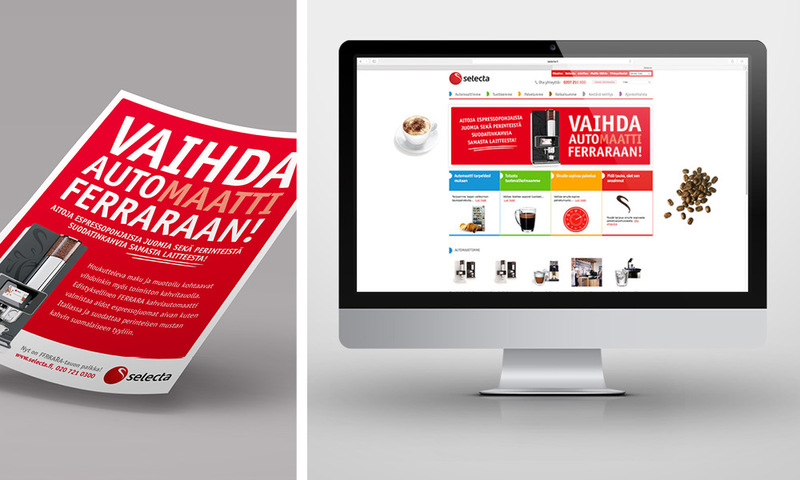 In this case example we designed campaign for Selecta Ferrara coffee machine. The campaign was targeted to male target group with a key message that played around with attention catching layout. The campaign was published in print and web media channels.